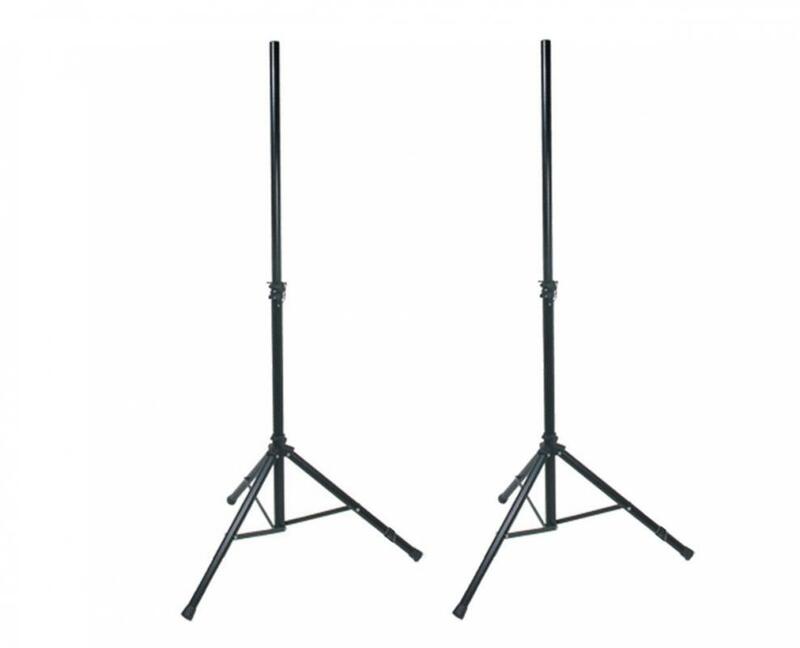 100-lb.-capacity speaker stands constructed with strong, lightweight aluminum tubing offer easy height adjustments from 42.9" to 80.7" and feature a steel safety pin to prevent sudden drops. Includes adapter for 1-1/2" speaker cab mounts. Maximum height of 6.7 ft.